You’ve been thinking about settling down and buying a home for a while now, and you finally think you’re ready. It’s time to tour some digs! But hold up—you need a game plan. House hunting is about more than popping into a few open houses and picking the one you like best. In fact, there’s a science to it: A smart search means you’ll save time, money, and your sanity during the rest of your home-buying process. So before you hit the trail, make sure you’re aware of some classic mistakes to avoid. We promise—it’ll mean happy hunting from here on out. Nothing screams “I’m not really serious” like going to look at houses without being pre-approved for a mortgage, says Sam Harris, an agent with Massada Home Sales in Brooklyn, NY. That’s because a seller is unlikely to entertain an offer without a pre-approval. And in hot markets, that means you can kiss your chance at a promising property goodbye—there are plenty of other buyers with pre-approvals in hand. In addition to improving your odds of making a winning offer, a pre-approval also lets you know exactly how much mortgage you qualify for, so that you won’t waste time looking at properties you can’t afford. In this very tight market, the best way to find a house is to have a jump on the competition, says Bill Golden, a real estate agent with Re/Max Metro Atlanta Cityside in Atlanta. “An agent will not only be the first to see when new listings come up, but they might even know about listings that haven’t even hit the market if they’re well-networked in the area where you’re looking,” Golden says. A buyer’s agent can also help you avoid costly negotiating mistakes when it comes time to make an offer. It’s important to make a wish list before you start shopping, because looking at extremely different types of properties will slow down the process, says Brendan O’Donnell with Center Coast Realty in Chicago. “I had a client who was interested in one-of-a-kind loft spaces as well as typical cookie-cutter vintage condos, and because they were so different, he wasn’t able to sort out his priorities and make a decision,” O’Donnell recalls. It’s fine to consider many types of properties at first to get a sense of your options, but try to narrow them down before you fill your weekends with home tours. In this tight market, if your real estate agent calls you about a new listing, do whatever you can to see it right away, Golden advises. “Waiting even a day can make the difference between getting the house or not,” he warns. Is Mom going to live in the house? What about your best friend? Yeah, didn’t think so. So, even though it can be wise to get an unbiased second opinion, beware the desire to get too many opinions. Often these folks are offering observations based on their own living situation, notes Joshua Jarvis of Jarvis Team Realty in Duluth, GA. In other words, they think a huge backyard is heaven, but you’re the one who has to mow it! To get a real sense of a house, you must explore it in detail, and an open house is the ideal time, says Rachel Ivers with the Blake Team at Keller Williams in Aurora, CO.
“That includes opening closets and pantry cabinets to ensure you have checked out every nook and cranny,” she says. Even though you’ll eventually have an inspection, use the open house to note red flags: Look beyond the fancy sheers hanging on the windows to make sure the windows themselves are hanging straight; flip light switches to check their upkeep; and inspect the floors and foundation to make sure they’re up to par. Does the house look amazing at first glance? Sometimes you have to look a little closer, advises real estate agent RJ Winberg with South Pointe Properties in Rossmoor, CA. 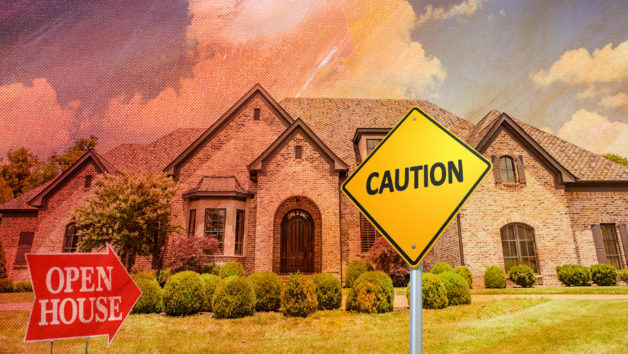 He frequently runs across investor flips that look perfect, but the devil is in the details—and sometimes the details leave a lot to be desired. “A house flip can be a great buy because everything is new, but only if you choose a house where the renovation was done well,” Winberg says. As you’re house hunting, look carefully for signs that indicate a rush job (e.g., gaps between new flooring and the walls; paint spatters on light switches, outlets, and windows). He also says to note the brands and materials used. “The appliances, faucets, lights, and other fixtures often look great just because they are new, but sometimes they are lower-quality options that won’t stand the test of time,” Winberg says. If you’re hoping to find the perfect-size house in the perfect neighborhood with the main-floor laundry room you want and the best schools, at a price you can afford, you can dream on, says Realtor® Aaron Hendon with Christine & Company with Keller Williams in Seattle. Focus on what’s most important to you. So, you’re dazzled as soon as you walk in the door. But is it the house that’s winning you over? Or the decor? It’s a home stager’s job to make you swoon, and unless you can tap the stager directly for tips, you’re probably not going to be able to replicate the look once you move in. “Make sure you are envisioning yourself in the home and falling in love with the house itself, not the house the way it’s staged,” Ivers cautions. When you tour a home, make sure you save some time to tour the neighborhood as well. Are the neighbor kids playing Metallica covers in the garage? Do cars speed down the street where your kids will play? The last thing you want is to be in a beautiful home in a nightmare neighborhood. Once you’ve checked for any red flags, take some time to get the overall vibe of the community and make sure it’s right for you. Notice whether the neighborhood is quiet or bustling; whether it attracts families or singles; and whether neighbors congregate on their porches or keep to themselves. Also, check for local shops, restaurants, or parks if amenities are important to you, as well as access to freeways and public transportation.